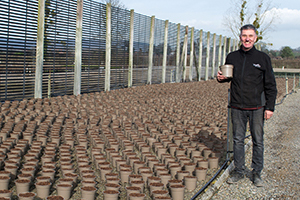 ONE OF THE UK’s leading commercial nurseries is now (March, 2019) using recyclable plant pots for all future retail plants that it’s currently potting. Wyevale Nurseries has started to phase out its black plastic pots replacing them with taupe coloured pots, supplied by Aeroplas in the West Midlands, in a bid to fight the war on plastic. AS we leave the cold spell behind and slowly creep into the warmer months, many homeowners will be heading out in the garden to prepare for the spring season ahead. UK gardening Superbrand Flymo has highlighted the key tasks we should begin to tackle throughout March to stay on top of our outdoor spaces. 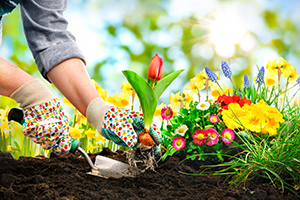 There’s plenty to do outside this month to prepare your garden for warmer weather. Perhaps you have ambitious plans for a flourishing garden this spring, or you’re refreshing your outdoor space for a new season. Either way, it’s important to get started now. 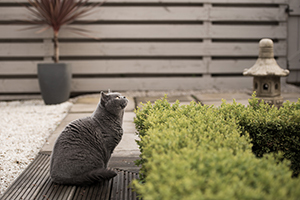 Green-fingered cat lovers can find out how to create the perfect feline-friendly garden to enjoy with their furry friend with Cats Protection’s 2019 gardening tips. The UK’s largest charity has put together its top ideas for ensuring cats stay happy and safe outdoors, ahead of its attendance at the RHS Malvern Spring Festival from 9-12 May. Cats Protection’s Events Manager Emma Osborne said the ideas would help owners who want to encourage their cats to stay closer to home. She said: “Creating a feline-friendly garden where your cat will want to play, rest and explore is an excellent way to ensure they don’t wander far. 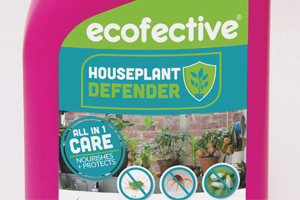 What are the options a garden centre has to showcase lawn care products? There are many different ways to merchandise lawn care products ranging from informative how-to product displays clearly showing consumers which product they should be using and when through to actual ‘living’ displays with examples of grass that has been treated with certain products to give a visual indication of the effectiveness of a product. Consumers, and particularly younger gardeners, are far more likely to make a purchase if they have had a positive shopping experience. Therefore creating eye catching and engaging displays is a great way to entice potential customers to come into store and make a purchase. Is it good enough to just keep them in packs on a shelf? 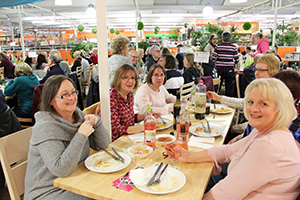 GARDEN centres across the country saw a positive start to the year (January, 2019) according to the Garden Centre Association’s (GCA) Barometer of Trade (BoT) report with houseplant and outdoor plant sales dominating. 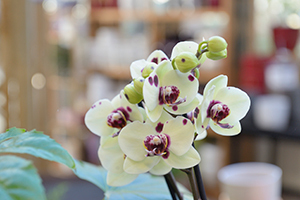 Compared to the same month the previous year (2018), houseplant sales were 16.96% up and outdoor plant sales were up 13.03%. Seed and bulb sales were up 5.32% and sales in garden sundries were up 9.02%. With more than 80 years in the business, NOMA’s expertise are second to none. 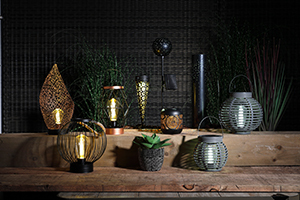 With a thriving Christmas lighting range, NOMA’s solar and battery garden lighting range can confidently shout about the innovative technology and superior product quality that keeps NOMA a household name. Since its beginnings in the UK in 1939, the name NOMA has been synonymous with top quality Christmas lights, and 80 years later the brand is still going strong and still living up to this promise. NOMA is the oldest Christmas lighting supplier in the UK, and owners LeisureGrow are delighted to be celebrating this iconic brand’s 80thbirthday this year. Not only do Al Fresco tiles look amazing, they also have many other beneficial properties. Al Fresco tiles are manufactured in a way that avoids all imperfections associated with natural stone and traditional paving slabs. Pressed in a raw state and heated at very high temperatures, every Al Fresco tile is created at the exact same thickness giving any project a premium finish. 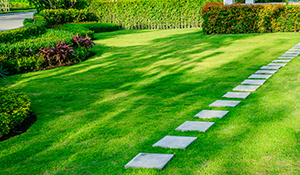 No need to worry about these tiles turning green – Al Fresco tiles are resistant to algae and moss keeping them looking their best all year round and can be cleaned easily using a hard brush and soapy water. 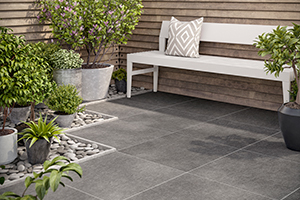 Unlike traditional paving, Al Fresco tiles are great for sunny spots as they are fade resistant and will not lose their colour. Haskins is offering plant recommendations for gardeners looking to bring Pantone’s ‘Colour of the Year,’ Living Coral, into their garden. 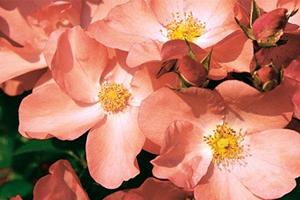 Alasdair Urquhart, in-house plant expert at Haskins, recommends the following plants for introducing the ‘Living Coral’ shade into the garden. The grow-your-own trend continues during 2019 as the nation’s gardeners seek out environmentally-friendly ways of growing healthy, pesticide-free produce with zero food miles. Eco-conscious gardeners are embracing the grow-your-own sector as society becomes more aware of where their food comes from and seeks to reduce the carbon footprint that mass food production has on the environment. This is reinforced by the vegan and vegetarian movement. Rising interest in growing fruit and veg for vegan diets is also a driver for this market - The Vegan Society found there were 600,000 vegans in Great Britain in 2018. The number of vegans almost doubled from up to 150,000 in 2014, to 276,000 in 2016, and is widely predicted to carry on growing exponentially. More than a quarter of all evening meals in the UK are now vegan or vegetarian. Less than four weeks to go until Garden Re-Leaf Day – Sign up now! There are now less than four weeks until Garden Re-Leaf Day on March 22nd. The event organisers have confirmed that plans for the industry’s biggest annual fundraiser are gathering momentum but those who haven’t signed up yet need not worry, there is still time to get involved! There has been a great response for the popular Garden Re-Leaf Walk and Cycle, with teams and individuals from Mr Fothergill’s Seeds, Vitax, Hozelock, Great British Cards, Elho, GIMA, HTA, DAC Ltd, Taylor Bulbs, Poplars Garden Centre, DLF Trifolium Glee, Holiday Inn, Teleflex, Hornby Whitefoot PR and Kew Green Hotels all signed up to take part. Read more about Less than four weeks to go until Garden Re-Leaf Day – Sign up now!